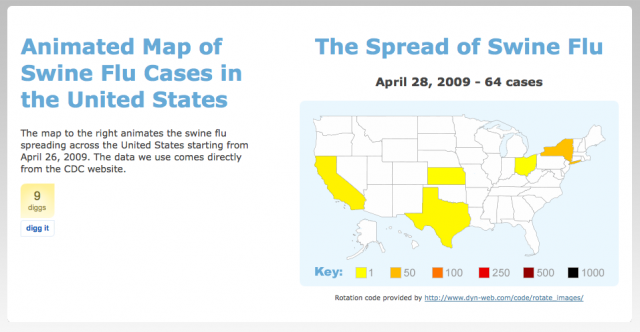 The team at Headstand Media produced a US Swine Flu Map Animation which is now online at http://www.swine-flu-map-animation.com This tool can be used on a daily basis to track the spread of the disease over time from state to state in a visual and animated manner. It communicates much more information than a static map image or illustration does. You can see trends and make interpretations not possible with traditional maps. Check it out.